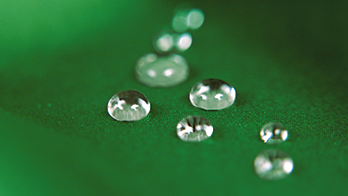 The OrganoTex® technology is based on nature’s own chemistry, using plant-based catalysts to bind water repellent “fatty” polymers directly to the textile fibers. 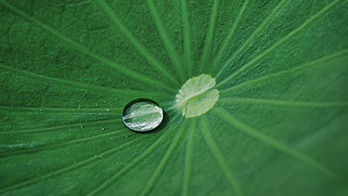 The plant-based catalysts create a 3D-structured fabric surface of “fatty” molecules, resulting in the OrganoTex® technology´s excellent performance. 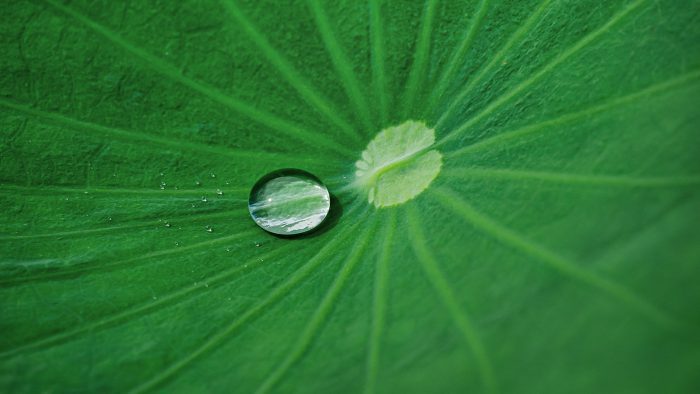 The 3D-structured fabric surface still feels smooth and its roughness is invisible to the eye, much like the surface of the Lotus flower’s leaves. The hand-feel of the fabric is soft and as the DWR-technology is not film-forming, the breathability of the fabric is still kept after the treatment. 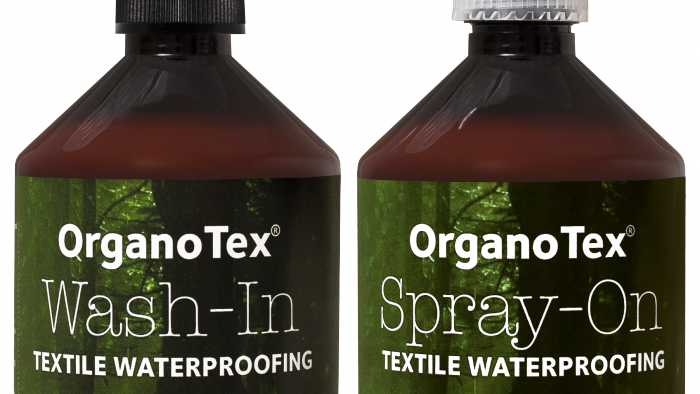 Brands that use fabrics treated with the OrganoTex® technology are offered an attractive co-branding platform that can be used to promote the eco-friendly characteristics of the OrganoTex®-treated textiles to consumers and retailers. The branding platform comprises hangtags, point-of-sales materials, social media presence, etc. OrganoTex® has its own R&D and lab and we can support you with lab scale trials of treating your fabrics. We can also offer chemical samples for trials at your own location. Always supported by our technical expertise and know-how at your convenience. For more info about the products, please see the product broschure or contact us here .